Learning Materials - CHIA "
The below learning materials and resources are valuable asset for CHIA candidates. This 32-question practice exam reflects the same competencies as the CHIA exam. The questions are different from the questions contained in the CHIA exam. Feedback received during this practice exam may help you identify areas for further review or study. Performance on this practice exam should not be considered predictive of final performance on the actual CHIA exam. You have 2 attempts at CHIA Challenge with no expiry date. Please note the questions in both attempts are exactly the same. NOTE: If you purchased the first edition of A Practitioner’s Guide to Health Informatics in Australia, please email certification@hisa.org.au for a special price to purchase the second edition. Second edition was released in May 2017. 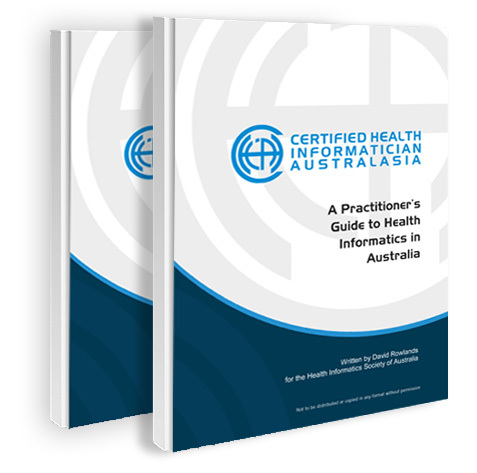 A Practitioner’s Guide to Health Informatics in Australia is a comprehensive body of knowledge (1000+ pages) covering the competencies tested in the CHIA exam; a valuable asset for CHIA candidates. The Practitioner’s Guide has also been developed with other purposes in mind, including orientation for professionals such as clinicians or ICT professionals new to health informatics and updates for health informaticians wishing to maintain the currency of their knowledge, irrespective of certification. It focuses explicitly on the needs of practitioners in the field of health informatics in Australia. Published electronically, into 8 sections. Purchasers will be sent a zip file to download the complete book. The 2nd edition of the Practitioner’s Guide has been comprehensively reviewed and updated, with major changes in particular to Chapter 9, Health Administration and Health Services Research, resulting from significant changes to the organisation of Australia’s health system and the governance of digital health. 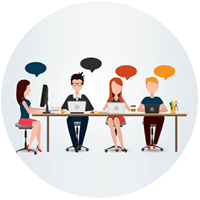 Reach out to the CHIA Alumni for guidance or form a study group with your peers.